Today was Media Tour day at IMS, and one of the most eye-catching sights was Michael Andretti's ride for this year's Indy 500. Looks like he got sponsorship from the same folks who help his other AGR cars. The redder the better, right? Hey, you gotta do whatever you can when you have 15 starts, 430 laps led and no face time on the Borg-Warner trophy. 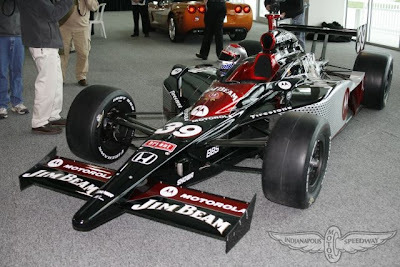 Seems to work for Hornish, Wheldon and Castroneves, who all won Indy in red cars.